Hello! I am a Niagara Falls resident who has greatly benefited from your product. I received severe chemical burns on my leg and arm from using a powerful chemical paint stripper. Most people thought I would need skin grafts. Instead, I used nature’s aid and wound debriding techniques and, considering the severity of the burns (through all layers of skin) – I healed with minimal scarring. 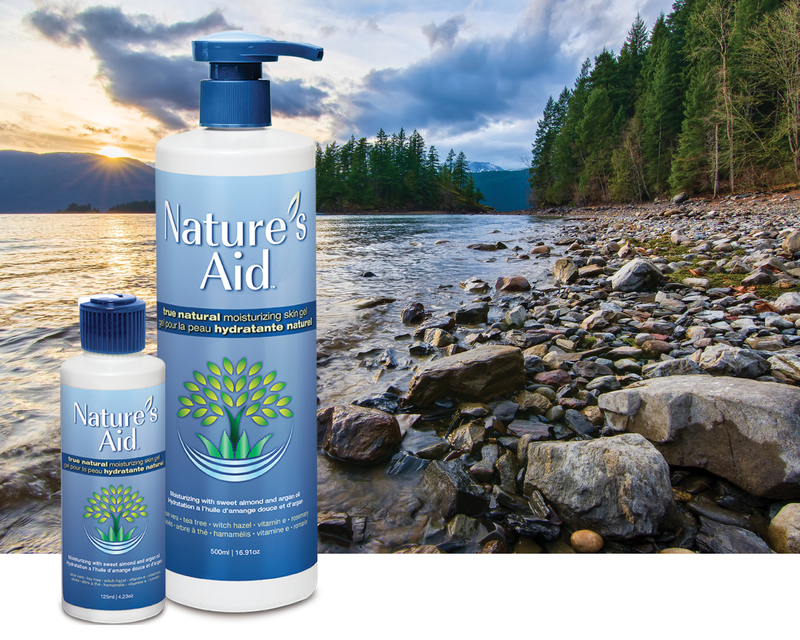 Since then, I have given samples of your product as countless gifts to friends and family – we all love nature’s aid!!!! Thank you!!! A Success Story shared on NaturesAid.ca, August 2016. A Success Story shared on NaturesAid.ca, July 2016. I liked this product, used it on my grandchildren, very mild. I liked that there was no additives, fragrances etc. I would buy this especially for my grandchildren and elderly mother. I really liked the light, herbal scent. The shampoo was very cleansing; I didn’t need too much to get a good lather. The conditioner is quite light but really did its job. My hair felt clean and lightly conditioned afterward. It was smooth and shiny! My hair is normally on the dry side, so I avoid most shampoos, which are very drying! This shampoo was great for my hair. I will definitely buy this given the chance. I love this shampoo and conditioner. It has a really nice light minty smell and even made my highlights shine. Will defiantly buy this in store. I do not like to use chemicals in my daughter’s personal care products. However, I quite often find that natural products leave her hair feeling dry and unconditioned. I did not find that with Nature’s Aid. I was impressed by how clean and silky her hair was after using the shampoo and conditioner. I also used this product and was happy with the results. Most often natural products leave my hair feeling flat and dull but I was still able to get the body I prefer when styling my hair. Overall, I think this is a great product for children and adults alike. Love this product that it’s natural and actually works! It cleans well and although a bit pricey there are less toxins than the drug store brands would recommend. I have a LOT of hair, down to my waist and thick. When I try out a shampoo it has to do one of two things – not over lather, and leave my hair feeling clean without residue. Nature’s Aid delivered ALL OF THE ABOVE + it smells delicious. WIth the tea tree scent I felt uplifted as I washed my hair, and I found it super easy to rinse out without a lot of fuss. I followed up with the Nature’s Aid Conditioner and loved how little I had to use! When it came to styling, I found my hair to have more body, more bounce and more shine. We’ve since purchased the large bottles and love it! I have been using this shampoo and conditioner in the past month. I have damaged, dry and frizzy hair, but after using this shampoo and conditioner, I’ve noticed less hair falling out after showering and my hair is now healthier and silkier. I like that It’s really hydrating but weightless. It deeply cleans but doesn’t strip moisture from the hair. My hair overall looks better and softer since using this. I have less frizzy and dry ends now. This shampoo and conditioner have a refreshing and natural scent. I always have problems with products made from harsh chemicals because I have sensitive skin, but I did not have any problems after using these. I absolutely love these, and I highly recommended to anyone who have problems with dry and damaged hair.